Why, despite all the promises and declarations, do Israeli governments consistently fail to find a comprehensive solution to the housing crisis? Why, despite all the promises and declarations, do Israeli governments consistently fail to find a comprehensive solution to the housing crisis? The authors contend that one of the focal reasons for this failure is the ability of a narrow, affluent group to influence policies in the housing arena. In parallel, the paper points at the structural interest of state and corporate institutions to prevent a significant decline in housing prices. 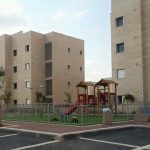 State stakeholders in the housing market – Ministry of Finance, Ministry of Construction and Housing, Bank of Israel, Israel Land Authority, and local authorities – are reluctant to take real steps toward fulfilling the government’s promises to lower housing costs. Israeli governments are also pressured by powerful private sector actors – the big banks and real-estate corporations – which profit directly from the housing market purchases of the top income bracket. The authors note that current government policy does not benefit the general public and actually is detrimental to the Israeli economy, as monies that might otherwise be invested in economic activity generating new jobs are invested in real estate. Thus, it appears that the government vision articulated only a decade ago to provide “a suitable apartment to every family at an affordable price in an appropriate neighborhood” – is destined to remain a dead Letter. The rate of ownership of at least two apartments among the top quintile (9th and 10th income deciles) increased from 8.9% in 2008 to 22.4% in 2013. Among the fourth quintile (7th and 8th deciles), rates increased from 4.5% to 9.6%. In 2014, apartments owned by the top decile were on average 76% more expensive than an average apartment owned by the rest of the population (an average apartment owned by households in the top decile was worth about NIS 2.54M; an average apartment of households in deciles 1-9 was worth about NIS 1.44M). Some 280,000 apartments defined by the State Revenues Authority at the Finance Ministry as “investment property” were purchased between 2002 and 2013. Households belonging to the top income decile purchased apartments whose total cost accounted for 40% of the total value of the investment properties; the top percentile alone acquired apartments amounting to close to 10% of the total value of the investment properties purchased over this period. Between 2007, the eve of the financial crisis, and 2015, housing prices doubled, while average and median wages increased by only a few percentages (data for median wage from 2014). Between 2003 and 2013, the rate of home ownership decreased by 7.5% and 6.1% among 4th and 7th deciles, respectively. Among married 20-29-year-olds, the percentage of families living in their own home declined from 55.8% in 1997 to 43.3% in 2012. In the 30-39 age group, it fell from 74.3% in 1997 to 63.4% in 2012. This while the rate among married 50-59-year-olds increased from 86.1% in 1997 to 87.8% in 2012. In the 60+ age group, it jumped from 78.9% to 86.7%. The housing problems among the Arab citizens are especially pronounced, as a result of limited development options, the absence of planning and state investment, lack of or dilapidated infrastructure, crowding and poor living conditions. In general, Arab communities are not included in national housing plans. The Construction and Housing Ministry no longer acts to counter market forces. The Ministry’s budget, which in 2000 totaled NIS 9.84B, amounted to only NIS 1.89 B (in 2015 prices) in 2015. In 1997, the Ministry’s budget constituted 5.1% of the total state budget; in 2015 it amounted to only 0.5%. The Ministry of Finance stands to “benefit” from the real-estate bubble. In 2014, the Ministry collected some NIS 7.7B in real estate taxes – a 66% increase compared to 2004. In addition, the state benefits from VAT on new apartments. According to Bank of Israel data, in 2015 this amounted to some NIS 7.6B. The interest policy of the Bank of Israel is one of the causes for the price hike. At the same time, the bank is worried about the possibility of a significant decline in prices. The bank policy is based on the assumption that a sharp drop in real estate prices might lower the value of state assets and translate into a shrinking of economic activity and consumption, which in turn might harm the economy. The banks’ net income from mortgages and credit to the construction and real-estate industries almost tripled between 2005 and 2015. In 2015, the net income of the five largest banks from mortgages was NIS 926M and from extending credit to the construction and real-estate companies, about NIS 2.2M. In 2007, the banks extended some NIS 2B in mortgages each month; by 2015 this figure had become 2.5 times larger, amounting to NIS 5.4B. The construction and real-estate industries continued to dominate business credit. In 2015, credit to construction and real-estate equaled 29.3% of the total credit extended to the business sector – the largest percentage among industries. The average gross profit of the sub-contractors of the large real-estate companies in Israel from residential projects rose from 16% in 2007 to about 19% in 2015; it climbed to 24-25% during 2011-2012. In 2015, the gross profit of the ten largest real-estate companies was NIS 1.1B, compared with NIS 600M in 2007. Between the early 2000s and the real-estate crisis of 2008, investment in residential construction constituted about a quarter of the total investment in fixed assets. Since then, this investment has increased significantly; in 2015 it amounted to about 34%. In other words, monies that might have been invested in the real economy and in creating jobs were diverted to financial investments in housing.